Make the galaxy beautiful again. 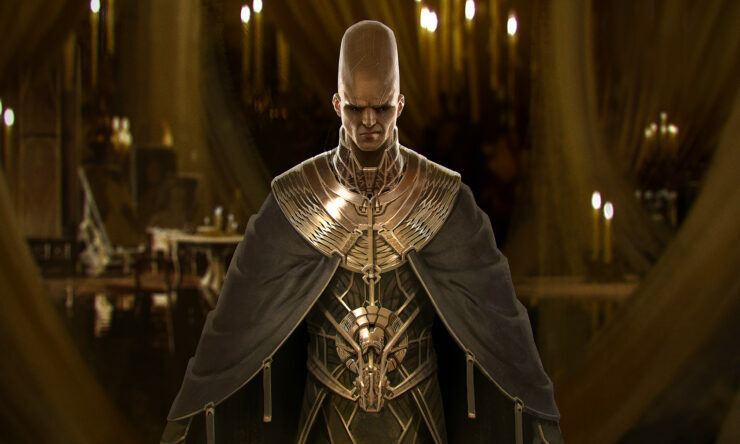 Amplitude Studios announced the next major update for their huge 4X sci-fi game, Endless Space 2, which includes the return of a bizarre faction. The biggest piece of new content in this update includes the return of a major faction, the Horatio, from Endless Space. The Horatio have my favorite back story from all the Endless Space factions by far. The trailer explains exactly who the Horatio are but the short version of the story is that they are a race led by a crazy trillionaire who is obsessed with making the galaxy beautiful by populating it with of his clones. The Horatio’s can assimilate the DNA of other factions into their own gene pool, granting them bonuses whether they absorb a population. Endless Space 2 is currently on Steam Early Access and expected to be released on PC later this year. Early Access is integral to our development process, we have used it for all our games so far and we would not make a game otherwise. We create very rich and deep games and universes, and we need passionate strategy players to bring that game to perfection. We can guarantee you one thing: if you come and participate to the Early Access, we will listen to you, and make everything we can to take your feedback into account, as long as it fits our vision.